Lauren Alaina, Brothers Osborne and Dustin Lynch announced the final nominees for “The 51st Annual CMA Awards” Monday morning live from ABC’s “Good Morning America” studio in New York’s Times Square. The artists revealed six categories live on-air, then announced the remaining six categories, along with finalists for the CMA Broadcast Awards, on GoodMorningAmerica.com as well as via “Good Morning America’s” Facebook page through Facebook Live and simulcast on “Good Morning America’s” YouTube channel. Little Big Town and Keith Urban each garner four nominations, tying for the second most nominations this year. 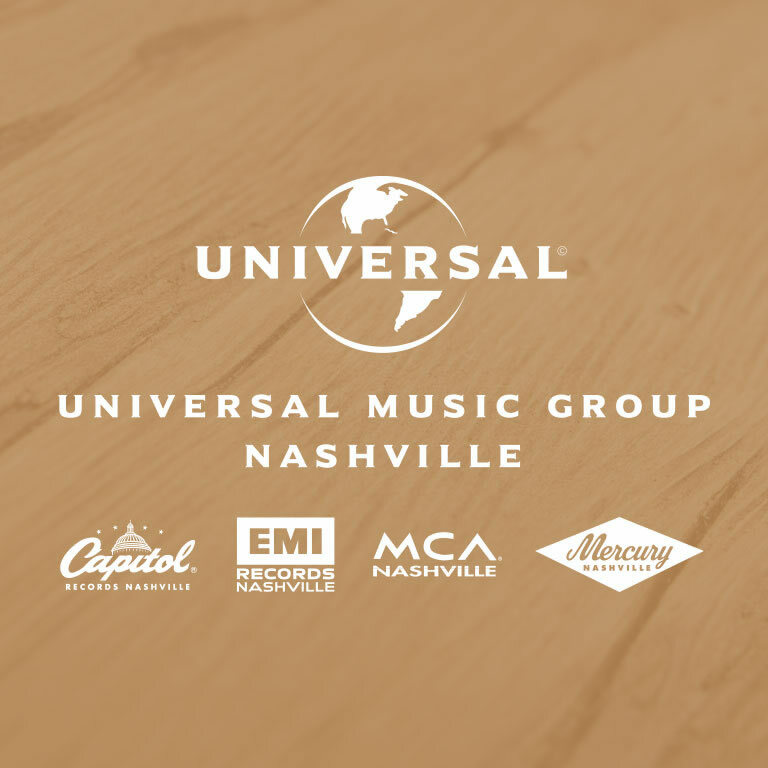 Little Big Town’s nominations include Single, produced by Jay Joyce and mix engineered by Jason Hall and Joyce; Music Video of the Year directed by Becky Fluke and Reid Long for “Better Man”; Album of the Year for The Breaker, also produced by Joyce; and Vocal Group of the Year. This is Little Big Town’s fourth nomination for Music Video. They have been nominated in past years for “Pontoon” (2012), “Tornado” (2013), and “Girl Crush” (2015). They are seven-time CMA Awards winners and this year’s nods bring their career total to 26 nominations. Taylor Swift received her 23rd nomination for writing “Better Man,” marking her second nomination for Song of the Year and first CMA Awards nod since 2014. Urban tallied up nominations for Entertainer of the Year, Single and Music Video of the Year for “Blue Ain’t Your Color” and Male Vocalist. This is his thirteenth nomination for Male Vocalist and he is a three-time consecutive winner in this category (2004-2006). Urban is a 10-time CMA Awards winner. Songwriters for “Blue Ain’t Your Color,” Clint Lagerberg, Hillary Lindsey, and Steven Lee Olsen earned a nod for Song of the Year. “Blue Ain’t Your Color” Music Video Director Carter Smith is a first-time nominee. “Blue Ain’t Your Color” producer Dann Huff and mix engineer Chris Lord-Alge also earned nods. Urban received one nomination for Single of the Year, but can receive an additional trophy as producer. Eric Church and Chris Stapleton each earned three nominations. Church scored recognition in the Entertainer of the Year category, as well as Male Vocalist, his sixth consecutive nomination, and Musical Event of the Year for “Kill A Word” featuring first-time nominee Rhiannon Giddens. He is a three-time CMA Award winner with 25 total career nominations. Five-time CMA Awards winner Stapleton is nominated for Entertainer of the Year, Male Vocalist and Album for From A Room: Volume 1, which was produced by Dave Cobb and Stapleton. He receives one nomination for album, but can receive an additional trophy as producer. This is Stapleton’s third consecutive nomination for Male, which he’s won the past two years. He was also nominated for Entertainer last year and won Album for Traveller in 2015. He is an 11-time CMA Awards nominee. Brothers Osborne, Sam Hunt, Lady Antebellum and Jon Pardi garnered two nominations. Reigning CMA Vocal Duo of the Year Brothers Osborne earns their third nomination in this category. They also received their first Music Video nod for “It Ain’t My Fault,” directed by Wes Edwards and Ryan Silver. They’ve earned five career nominations. Hunt was recognized in the Single and Song categories for the record-setting “Body Like A Back Road,” produced and mix engineered by Zach Crowell, and written by Crowell, Hunt, Shane McAnally, and Josh Osborne. In 2015, Hunt received the same nods for “Take Your Time.” He is a five-time CMA Awards nominee. Newcomer Pardi burst onto the Awards scene with his first two CMA nominations this year. “Dirt On My Boots,” which he co-produced with Bart Butler, earned him a nod in the Single of the Year category. He receives one nomination as the artist, but can receive an additional trophy as producer. The song was mix engineered by Ryan Gore. “Dirt On My Boots” songwriters Rhett Akins, Jesse Frasure, and Ashley Gorley are also nominees. Additionally, Pardi received a New Artist of the Year nomination. The 51st Annual CMA Awards, hosted by Brad Paisley and Carrie Underwood, will be broadcast live from Bridgestone Arena in Nashville, November 8th at 8pm ET on ABC. 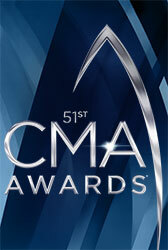 For more information and a full list of nominees, visit CMAawards.com. COUNTRY STARS REACT TO THE DEVASTATING EFFECTS OF HURRICANE HARVEY. Lady Antebellum had to cancel their show on their You Look Good World Tour in Houston on Sunday night (August 27th) due to the ravaging effects from Hurricane Harvey. The band sent a message to the fans to express sorrow for the cancellation and the circumstances, as well as letting them know they would donate proceeds from their merchandise sales to hurricane relief funds. Hoping everyone stays safe in Texas right now. Don't mess around with this stuff! Maddie & Tae are over in the U-K, but send their thoughts and prayers to Maddie’s home state of Texas. Praying for everybody affected by #HurricaneHarvey. We love you, Texas! Kacey Musgraves sends a message of love to her home state of Texas. MADDIE & TAE HAVE PARTNERED WITH ONE JEANSWEAR GROUP TO LAUNCH NEW JUNIOR BRAND, BLACK DAISY. 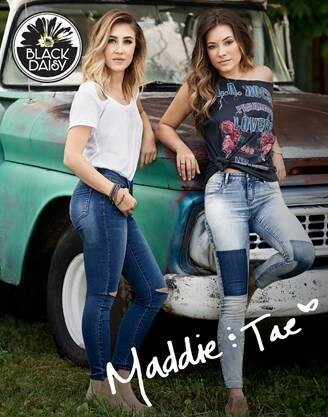 Platinum-selling country duo Maddie & Tae announced this week a partnership with ONE Jeanswear Group to launch new junior denim brand, Black Daisy. The award-winning pair serve as brand ambassadors for Black Daisy and they will kick off its debut with a back-to-school event including a performance and meet-and-greet at Macy’s Herald Square in New York City this Saturday, Aug. 19th. In addition to being the face of Black Daisy and appearing in the brand’s marketing materials, Maddie & Tae will also design a capsule for the line expected fourth quarter this year with plans for an entire collection in stores next year. For more information, tour dates and news, visit maddieandtae.com.